In an ongoing effort to provide peace of mind to importers, exporters and freight forwarders, Sealock Security Systems of Miami, Florida has earned certification as a C-TPAT partner from the Department of Homeland Security. EJ Brooks Company, the world’s oldest and largest manufacturer of tamper-indicative seals, and a Sealock licensee, is the only other seal manufacturer in the world to be honored with C-TPAT membership. This puts Sealock in very good company alongside some of the country’s largest importers. Wal-Mart, JC Penney, Hewlett-Packard, Pfizer, Maersk Line, and many others have also gained C-TPAT acceptance, and use Sealock products to protect their containers. The Sealock is a multi-patented hybrid container seal and barrier lock. 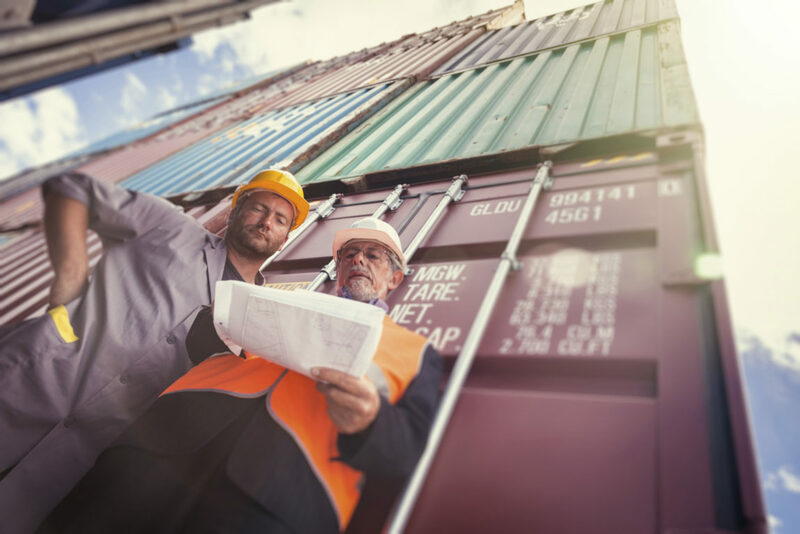 It was invented in 1995 by a Miami freight forwarder who was fed up with his clients losing valuable cargo to thieves breaking into their containers. In only 10 years, the Sealock name had become synonymous with high-security container protection, not just for theft prevention but also as a valuable tool in the fight against terrorism. In the spring of 2005, Robert Bonner, then chief of US Customs, spoke at a national C-TPAT meeting held in Miami. As he addressed nearly 500 top US importers from around the country, he challenged them to upgrade their supply-chain security measures and to achieve “Tier 3″ status as preferred C-TPAT importers. One necessary measure, according to Bonner, was for importers to secure their inbound containers with a “sea lock” high-security barrier seal. The very term “sea lock” only entered the vernacular in the post-9/11 era as the “Sealock,” a unique sealing/locking device gained widespread acceptance as the gold standard in mechanical container sealing technologies. C-TPAT (Customs-Trade Partnership Against Terrorism), is the Dept. of Homeland Security’s partnership with the private sector.Â Initiated in 2003, C-TPAT strives to hold importers accountable for their inbound containers’ security against the possibility of being used as a Trojan Horse to deliver a weapon of mass destruction through our borders. Comprehensive security measures must be taken by C-TPAT members. In return, they are granted fast lane Customs clearance and are not bogged down with intensive examinations. One of the most critical aspects of container security is the all-important door seal which has been shown to be very vulnerable to attack and circumvention. It is just this vulnerability that led to the invention of the Sealock. Though its original purpose was to keep thieves from removing cargo from sealed containers, the Sealock has proven to be valuable in preventing terrorists from putting WMD’s into well-sealed containers entering our ports. All Sealock products exceed C-TPAT standards for the highest level of security seals. Customs has now recognized the Sealock company for its integrity by admitting them to this exclusive group of the largest American importers. Sealock can be reached in Miami by contacting Ray Fernandez, VP in charge of sales, at 305-418-7603 or via email to ray@sealock.com. Visit their website @ www.sealock.com for more information about Sealock products that can help U.S. importers in their efforts to gain C-TPAT acceptance and to protect their containers from break-in and pilferage.